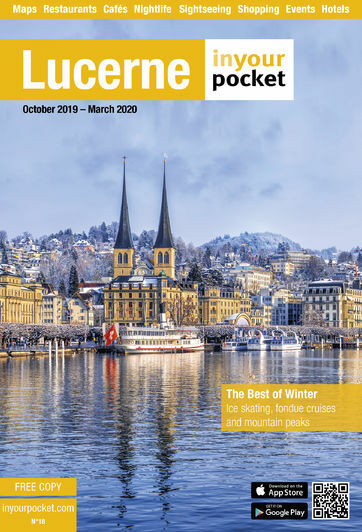 Ice skating, fondue cruise or sledging - Lucerne can be fun in winter too! See our suggestions below. In case the city is covered by a thick layer of high-altitude fog (unfortunately happens quite often), we recommend you climb a nearby mountain to get some sun. Or even better: ski it. There are many mountains and resorts so close to Lucerne that it's worth going to one just for the day (see box on the left). These resorts usually open by the end of November or mid-December, as soon as there is snow. Always check the conditions before you leave.